Notre Dame Academy's largest fundraising and social event of the year! Parents and parishioners attend an adults-only evening out and enjoy entertainment, dinner, live and silent auctions, a chance to win prizes and much more. Proceeds support the school's operating budget, meet special scholastic needs and continue to enhance Notre Dame Academy educational opportunities. 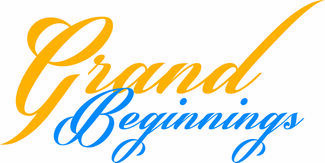 Grand Beginnings is Saturday November 17, 2018. Create pre-event flyers and a powerpoint for the live auction.